Stunning handmade wool durry in pastel colors tone give beautiful look. This durry has stonewashed and easily match with any furniture. It has a beautiful multi triangle pattern. - Simple yet stylish designs in vibrant colourways. 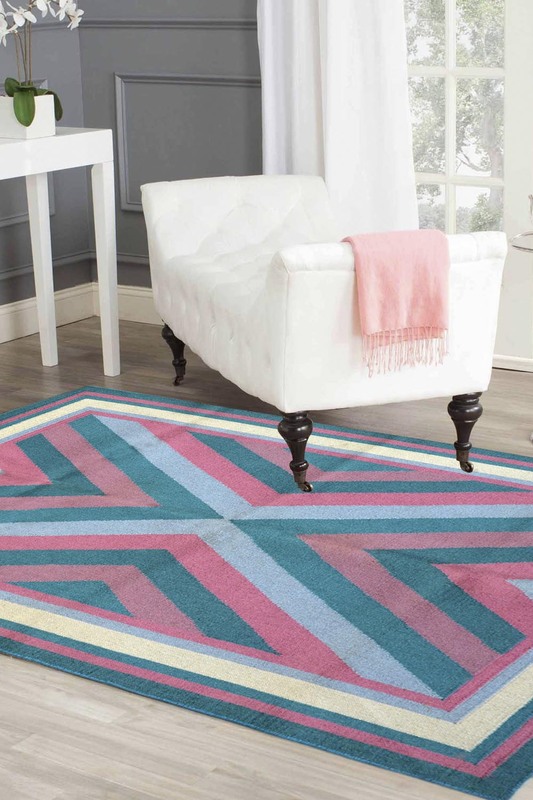 - Each rug features a quality handloom with a woolen pile which is very thin, and soft to the touch. - Varying pile and hand carving are used for added design appeal and visual excitement. One of our best selling collections. - It has 100% fast color with beautiful multi triangle design. It has a beautiful border in plain colors. - It has taken around 45 days to weave.